If you live in rented accommodation, you expect your landlord to keep your property in a safe and comfortable condition and in the case of issues such as damp or broken appliances arising, they're normally your first port of call. However, what may not have occurred to you is that your landlord also has a legal responsibility for your safety, and a key part of this involves ensuring yearly safety checks and maintenance are carried out on your gas appliances by a Gas Safe Registered Engineer. The importance of a landlord's responsibility for his tenants was highlighted this week by the announcement that a Durham landlord had been given a suspended prison sentence following his failure to maintain and check gas fittings in one of his properties. Following an examination by the Health and Safety Executive (HSE), a gas fire and back boiler were found to be immediately dangerous to tenants, leaking deadly carbon monoxide (CO) into the ground floor sitting room. Windows had also been sealed shut and wall ventilation grills had been blocked for some time, exposing the property's tenants to the risk of CO poisoning. You can make it easier for your landlord to keep you safe in rented accommodation by cooperating with them over visits from Gas Safe engineers, and always ensuring there is someone available to let an engineer into the property. Don't forget to check the individual's Gas Safe ID card each time - look on both sides of the card for details of the engineer's license number, start and expiry dates, security hologram, the work they're qualified to do and their up-to-date qualifications. Alternatively, you can check they're registered and view their photo on the Gas Safe website or even call up the organisation directly. On moving into your rented property, ensure your landlord gives you a copy of their Gas Safety Certificate (as they are required to under law), and don't forget to fit an audible carbon monoxide alarm (those marked with the British Standard EN50291 are recommended). Look out for signs that your appliances aren't working correctly, for example, lazy/orange flames rather than crisp blue ones or any black marks/stains around the appliance. Carbon monoxide is invisible, odourless and tasteless but can kill quickly and without warning in a couple of hours. 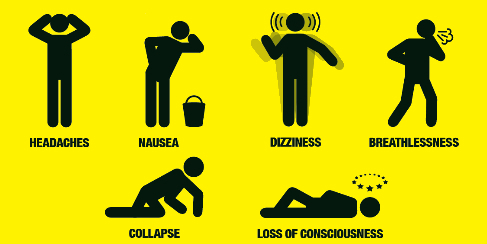 Always stay alert for the key symptoms of CO poisoning - headaches, dizziness, nausea, breathlessness, collapse and loss of consciousness - which can sometimes be confused with hangovers or the flu. If you suspect that you have CO poisoning, it's essential to seek medical help immediately. In an emergency, call the Gas Emergency Helpline on 0800 111 999 or in the event of a landlord refusing to properly service and check safety appliances they have provided, ring HSE on 0845 3450055. If you're a landlord looking for a Gas Safe Registered engineer in your area, search via the APHC website at http://www.aphc.co.uk/find_an_installer.asp. How smart are Smart Heating Controls? In today's digital age, we're forever being told how much money we could save by installing smart heating controls - devices designed to help consumers save money by helping them to heat their homes more efficiently. With the ability to switch your heating on or off remotely via the Internet so that you only heat your home when it's really needed and making it easy to measure how much heat you're actually using, smart controls should make keeping your heating bills down easier than ever before, but how much money can they really save you, and how can you decide if one is really right for you? While all are controlled remotely via the Internet, Smart Heating Controls come with a variety of functions, for example, the ability to switch your heating on when you're on your way home to prevent money from being wasted while you're out. Some are able to learn your daily routine in order to switch your heating on and off automatically and have the ability to control individual rooms in your home, so that you only heat the rooms you actually use. By adjusting to the temperature outside, they can even help to ensure that your home doesn't overheat on a hot day. Estimates for savings from Smart Heating Controls can vary widely between manufacturers and suppliers, with some claiming they can reduce heating bills by 20%, some quoting up to £150 a year and some even suggesting that they can half your annual heating bill. In reality though, the amount homeowners can save is more likely to depend on their commitment to learning about the system and teaching it their daily routine. How do I know if they're right for me? When considering whether to purchase Smart Heating Controls, it's important to weigh up the price of the system against the potential savings to be made. When making your decision, consider your motivations for installing digital heating technologies, for example, do you want to consider how much heating you're using and how much it's costing you? Another thing to ask yourself is whether you're comfortable using computers and smartphone apps. If you're a frequent user of such devices, you may have a lot to gain from programming your thermostat to fit around your busy lifestyle. Finally, it's important to be honest with yourself with regards to your memory! Would you struggle to remember to switch your heating on and off remotely? If so, Smart Controls may not be a worthwhile investment, especially if you're not planning on staying in your property for a long time. If you still feel that you're the type of person who could benefit from installing Smart Heating Controls in your home, remember always to choose a quality heating engineer for the job. Search for one in your local area via the APHC website at http://www.aphc.co.uk/find_an_installer.asp. There's no doubt that it's getting colder outside all of a sudden, so what will be your favourite way of keeping cosy this winter? A hot bubble bath perhaps or a steaming mug of tea or coffee? When finding ways to stay warm in our homes and workplaces, it's easy to forget the potential dangers presented to us by scalding, yet last year around 37% of all burns occurred this way. 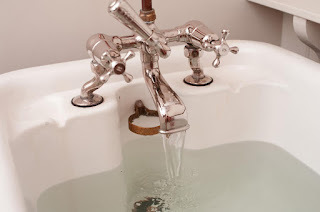 Consider adding thermostatic mixing valves to high risk plumbing equipment such as baths and showers to mix the hot water temperature to below 48 degrees C.
Install special bath spouts and shower heads that prevent scalding by sensing if water gets too hot and shutting off the flow of water. Always test bathwater before placing your child in the bathtub, and help them to get in. When running a bath, put cold water into the bath first and then add the hot water, using your elbows to test the temperature. Never leave a child under 5 unattended in a bathtub, not even for a moment. When cooking, try to use the rings at the back of the hob and turn saucepan handles towards the back or centre of the stove so that children can't grab them and tip the pots over. Similarly, don't use a kettle with a cord which could dangle over the side of the work surface and be grabbed. Ideally keep toddlers and young children out of the kitchen altogether, for example, by putting a safety gate across the doorway. Never warm baby bottles in the microwave - they may heat unevenly and burn your baby's mouth. Use mugs or coffee cups with lids when you're around children and keep hot liquids like soup, coffee or tea away from the edge of counters and tables. Cool the burn with 20 minutes of cool, running water. Do not use ice, butter, aloe vera, toothpaste or ointments, which could cause further damage. Call for help. Ideally medical attention should be sought while the burn is still being cooled. Cover the burn with clingfilm. This protects the burn from infection whilst stopping the wound from drying out. Cells that dry out will die, delaying the healing process. For the installation of thermostatic mixing valves or other plumbing work in your home, be sure to always call a quality plumber. Search for one in your local area via the APHC website, at http://www.aphc.co.uk/find_an_installer.asp. Simple changes could mean big savings on your heating bills! It's that time of year again. With temperatures dropping, we're finding ourselves getting that winter coat out of the wardrobe and if you haven't already, it won't be long before you turn on the central heating for the cold few months ahead. We all like to be cosy in our homes as it gets chillier outside, however, none of us likes having to pay a huge heating bill. We've compiled a list of our top tips to help you curb heating costs this autumn/winter season whilst keeping warm in your home. With around a third of the heat in our homes lost through the walls, it really does pay to insulate your property. As well as being inexpensive and straightforward to fit, foams and sealants are available at most DIY stores but remember to look for types which conform to the standard BS7386. You can also lag your pipes and water tank for maximum efficiency - fitting a standard British jacket around your hot water cylinder could save heat loss by 75%. That's a saving of £20 per year on your fuel bill! Finally, be sure to install insulation in your loft which works like a blanket, trapping heat rising from the floors below. Remember that lofts should be insulated to 270mm so even if you already have insulation fitted, you can save money and energy by taking it up to this amount. 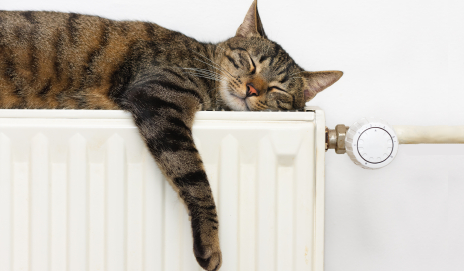 Another way of making savings on your heating bills this winter is by upgrading your heating system. For example, a high efficiency condensing boiler with heating controls could save you up to £200 a year! Smart Heating Controls are another area of technology that could help you to save, adapting to your day-to-day routine so that the heating comes on when you need it but turns off when you don't. Having a solar panel installed on your roof could also help you to cut costs by using the sun's energy to heat water. You may even be eligible for a grant to have one installed! Aside from the larger changes mentioned above, there are a number of small changes you can make to your home heating routine which could make a big difference when it comes to that monthly bill. You may be surprised to learn that just turning down your thermostat by 1˚C could cut your heating bills by up to 10%, saving you around £40 each year. Another tip is to close the curtains at night, which stops heat from escaping through the window and take advantage of the cheapest form of energy (the sun) by opening doors into rooms which get the most sun and allowing warm air to circulate around the house. Finally, by ensuring all taps are turned off properly and broken taps are fixed, you're literally stopping money from going down the drain! When getting any plumbing and heating work done on your property be sure to always use a quality plumber. Search for one in your local area on the APHC website at http://www.aphc.co.uk/find_an_installer.asp. Why not follow some of our tips today and see how much you can save?